A modern rectangle shaped jewellery/keepsake box made from black mirrored glass with bevel edges. 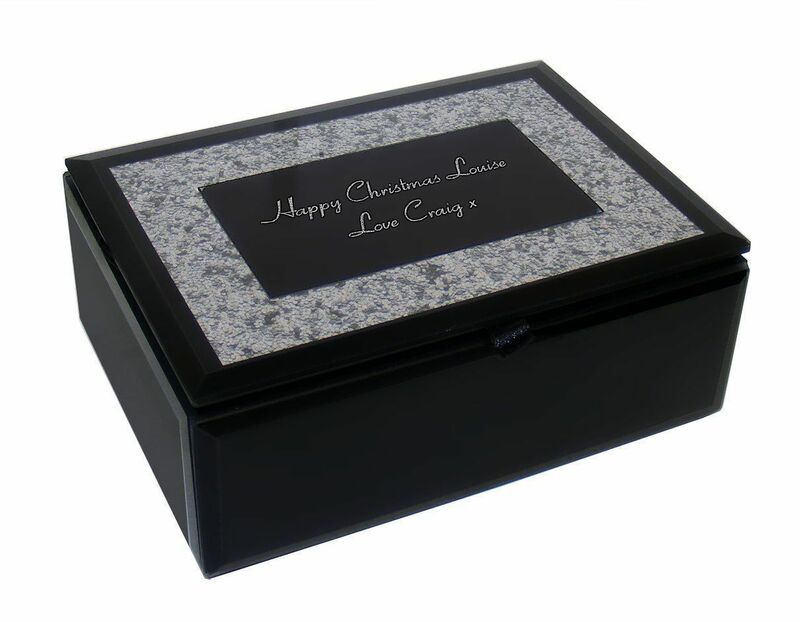 The top of this box features a black mirrored glass rectangle surrounded by a glitter design. The lid can be engraved with a message making it a special gift to give a loved one this Christmas. 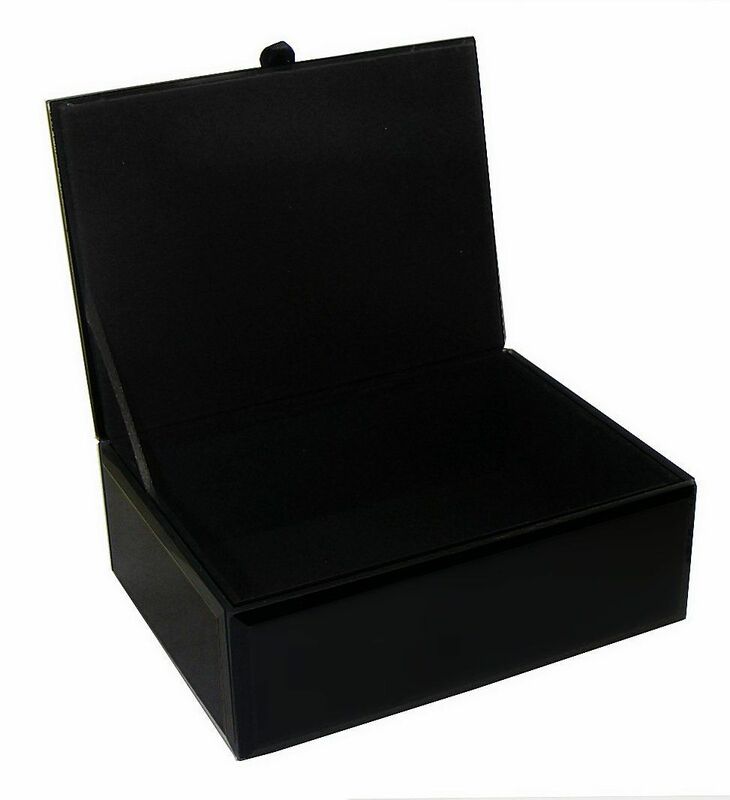 Lift the lid of this box to reveal a black velour interior which is the perfect place to keep small jewellery items or little keepsakes safe. The cross and chain are 925 silver and manufactured to the highest standards by one of the UK's largest silversmiths with over 100 years experience.